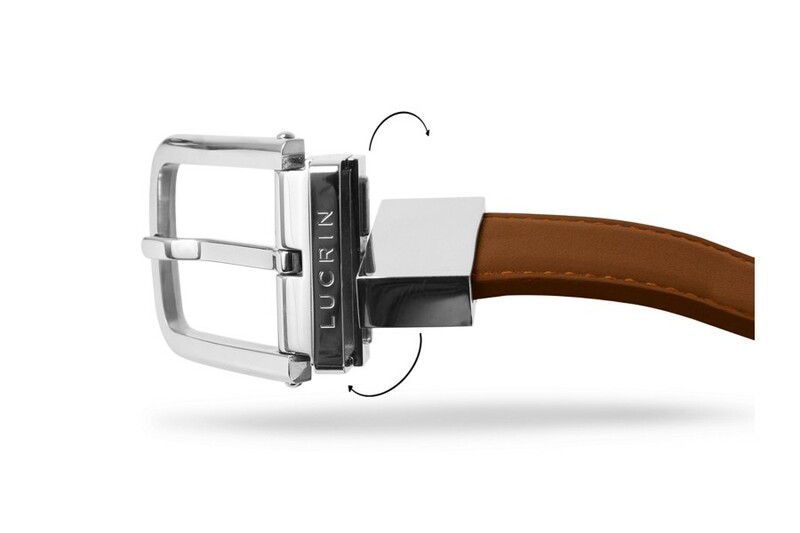 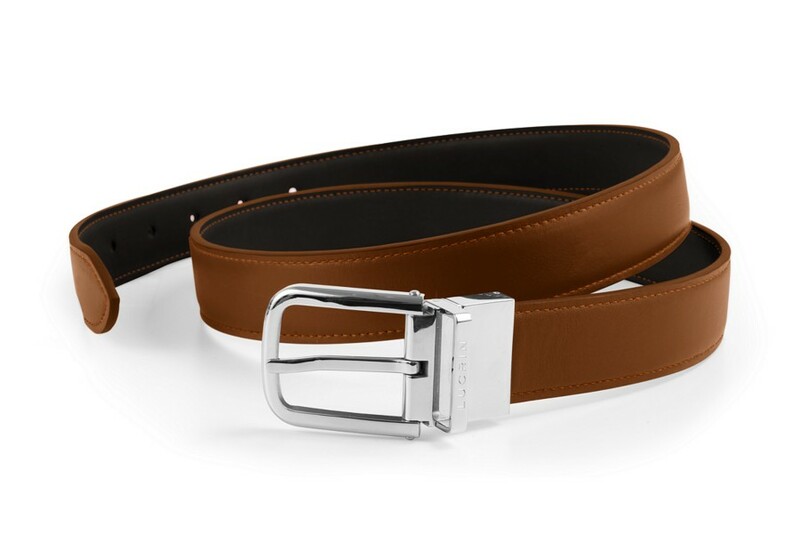 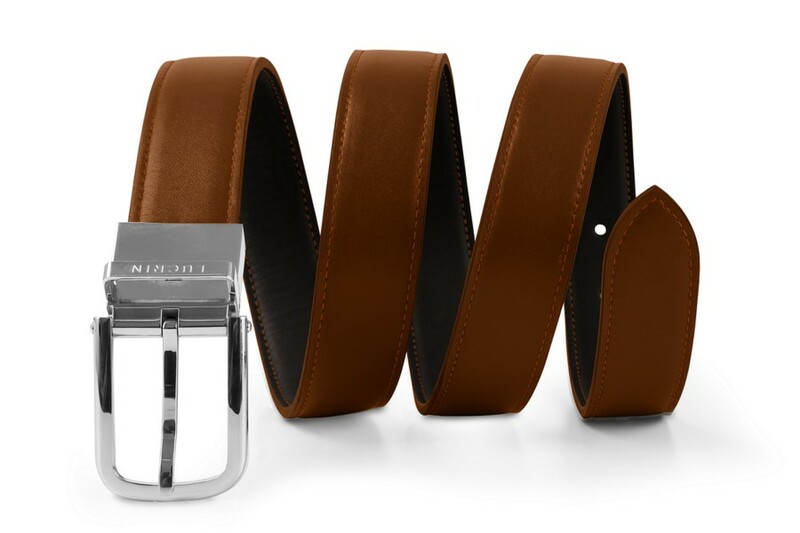 This is the flagship of the belts collection by Lucrin - the exquisite reversible leather belt for men & women. 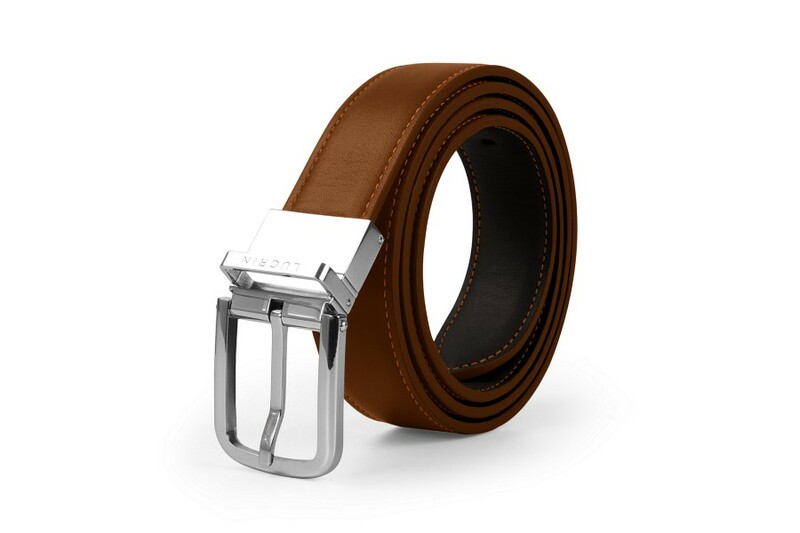 If you pick either the smooth or the granulated calf leather, you can get a superb belt of two distinct or matching colours : black & navy blue, tan & green, are some examples that you can choose, as per your wish, as per your outfits. 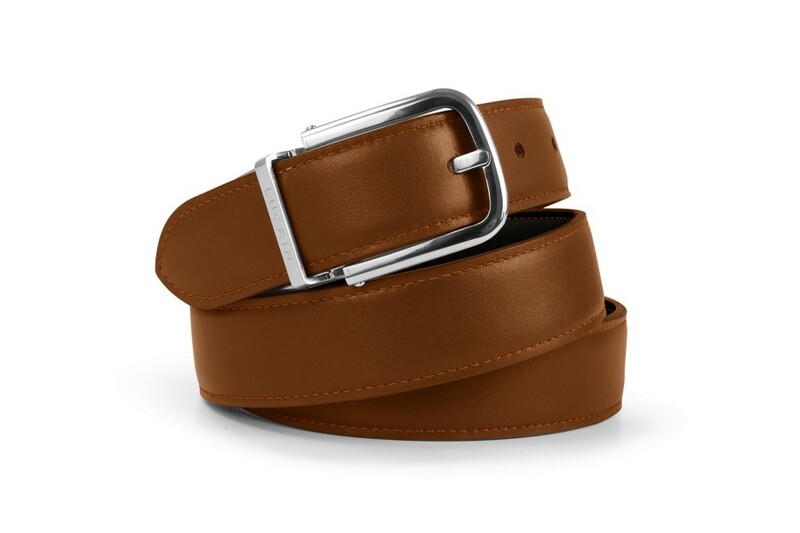 You just need to pull and turn the belt buckle to swap between the two colours. 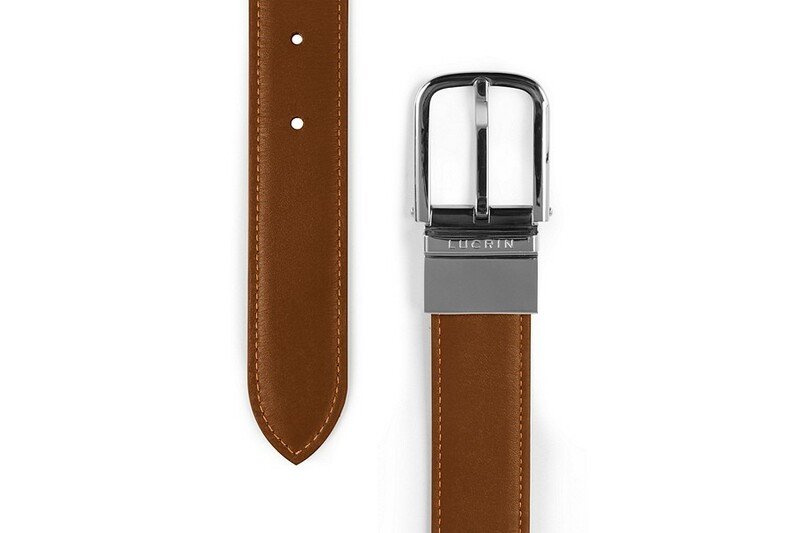 The magnificent silver coloured buckle is comes in two sizes, depending on the loop for the belt (width of 3 or 3.5cm). 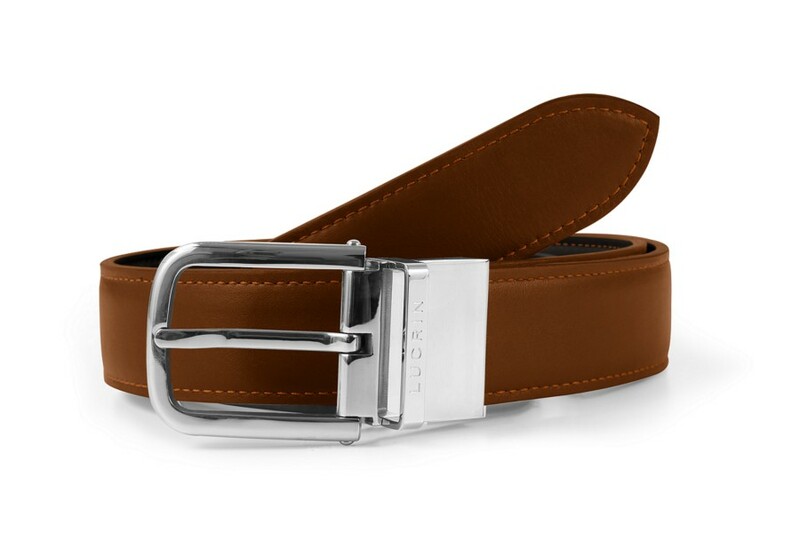 The belt leather can be customised in terms of its length (see the size guide), a great choice of leathers & colours, contrasting thread shades, and you may even ask for unique initials engraving at the belt’s end.